If you have been considering making a move over the last few years, you may have been put off or intimidated with the strong seller’s market in the Denver metro area. The thought of competing in multiple-offer situations or paying over the asking price overwhelms many buyers. 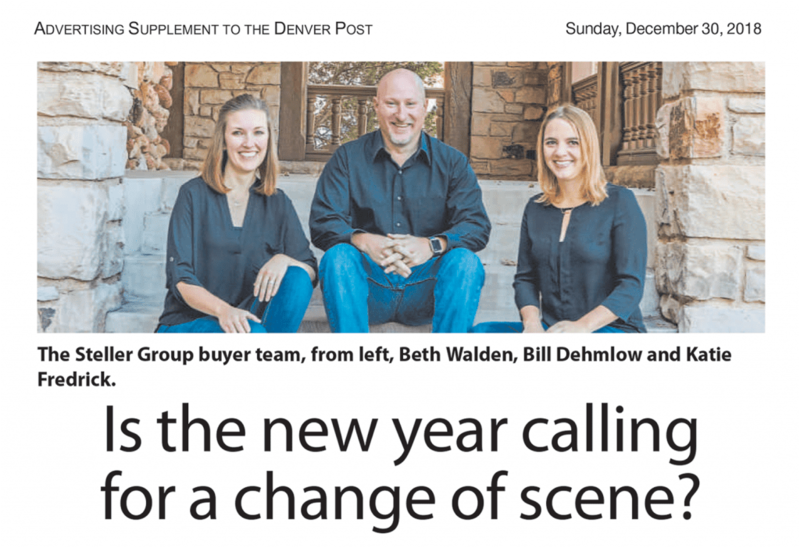 As the Denver market heads into 2019 as more balanced, now may be just the right time to consider making a home purchase. But where do buyers start? The Steller Group is a residential real estate team consisting of specialists trained to give clients the highest level of service in all aspects of a real estate transaction. “While most real estate brokers are a jack-of-all-trades, our company was built to deliver experienced specialists for each aspect of the transaction, representing buyers and sellers with the highest level of service,” says Emily Lonborg, co-founder of The Steller Group. The Steller Group’s expertise comes from serving more than 600 buyers since 2010. The agents who make up the buyer team have more than 20 years of combined experience as licensed brokers. How do The Steller Group’s buyer agents stand out above the competition? In 2011, The Steller Group buyer team became one of the first teams in the industry to employ a licensed showing specialist. With some properties, being the first in the door can mean making an offer immediately — and the difference between buyers getting their dream home or facing disappointment. The Steller Group’s buyer team prioritizes understanding the reason behind a client’s move. Each client and circumstance is unique, and there is no one-size-fits-all formula. Some homebuyers may need to find a new home on a quick timeframe, while others may need the flexibility to explore a variety of neighborhoods, schools and other options over a longer period of time. For clients who need to sell their current home prior to buying their next home, The Steller Group’s listing team offers a comprehensive home sales approach. Their services include complimentary home staging, project management services for sellers whose homes need some level of repair prior to sale, professional photography, a full-service marketing team and, of course, knowledgeable, educated agents. Visit the web for a list of their free senior seminars coming next month, on topics including “Estate Sales and Downsizing Services” and “Blueprint for Success: Steps for a Low-Stress, High-Yield Move.” Phone: 720-593-9355. Web: DenverSeniorSeminars.com. To read the original article in the Denver Post, click here.